The following is courtesy of Faith & Leadership, an offering of leadership education of Duke Divinity School (www.faithandleadership.com). 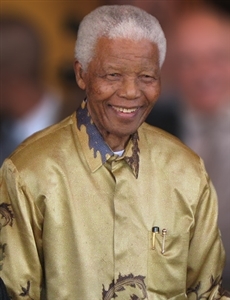 In the wake of Nelson Mandela's death, we offer here our previously published essays about his leadership. The book "Going to Extremes" explains why people tend toward group polarization. Christian leaders have a responsibility to help their communities engage diverse viewpoints and love enemies, says L. Gregory Jones. As the lives of André Trocmé and Nelson Mandela readily show, transformational leadership begins with small acts of goodness and basic human decency, says Jason Byassee. How should a leader carry herself? I don't mean in terms of virtues. I would likely draw consent on this page that a leader should display humility, courage, and charity above all. Even if our following does not exact the high cost that Christians elsewhere pay daily, we still need to remember that suffering may wait just beyond the horizon if we lead faithfully in our own ministries. The opinions in the essays are those of the authors and do not necessarily reflect the policy or position of the Florida Conference.